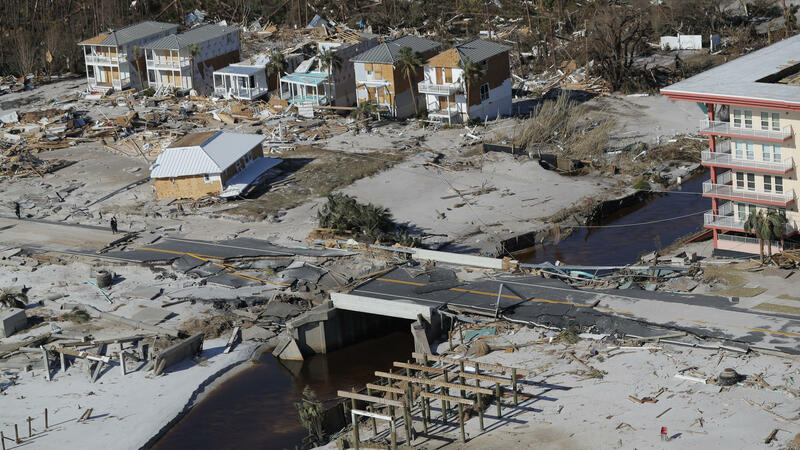 A bridge damaged by Hurricane Michael can be seen Friday in Mexico Beach, Fla. The most powerful hurricane ever known to have hit the Florida Panhandle has left transportation and communication infrastructure in shambles, slowing relief efforts. Consumer prices may be affected, too, as shipping goods into and out of the region is becoming more expensive. Ofiara says his customers already are seeing a 50 percent spike in costs for moving shipments out of or through Florida.